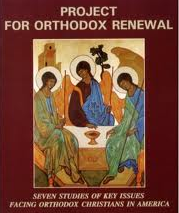 The work that I have done to date suggests that we have a more interconnected and shared history than is commonly realized and that an awareness of this can help to foster a clearer single Orthodox identity. Such an identity would transcend the narrow categories of modern nationalistic philosophies that have impacted the life and mentality of all Orthodox churches to differing degrees since at least the early 19th century. In the short time available, I will present five themes of American Orthodox history. Dr Walsh and Dr Yiannis will then develop some of these in more detail, after which there will be opportunity to flesh them out further in open discussion. By 1866 a decision had been made to construct an Orthodox temple in New York City. A major fundraising event for this was held in Moscow in 1866 in conjunction with the visit to Russia of Gustavus Vasa Fox, the assistant secretary of the US Navy. At that banquet, the attorney to the Synodal board of Moscow spoke of the proposal to erect a Russian church in New York City, for which …., a subscription in America had produced already seven thousand dollars…. Mr. Curtin expressed in the name of General Clay… the hope that the Russians would soon find, in coming to New York, an Orthodox church worthy of the Greek religion. Mr Clay, he said, would subscribe 500 rubles, and Mr Fox as much; and he believed that private subscriptions in New York would yet yield twenty five thousand more. He was certain, too, that twenty four thousand rubles, additional to the thousand given by Messrs. Clay and Fox, would be raised in Russia. These were substantial amounts of money, possibly millions in current dollars. I do not know what became of these monies; perhaps we are looking at the first question of financial accountability in American Orthodox history! Dr. Walsh will develop this theme so I will only touch upon it briefly. Suffice it to say that the history of Orthodoxy in North America should first be studied within the wider context of the exploration and subjugation of the new world by the European powers and how their geopolitics were fueled by economic and religious considerations. These determine their interactions from the fall of Constantinople in 1453 through to the Bolshevik revolution in Russia in 1917 and beyond. The impact on the emergence of Orthodox life in the United States of American independence, the Civil War, the concept of Manifest Destiny, the Cold War, changing immigration policy, etc. must be appraised. The internal situation of the Orthodox churches in the near East, Russia and the Balkans must be understood as it impinged upon their activities or lack of same in the United States. We also need to be aware of the growth of the Church in other parts of the West in the same period that interconnect with and often predate developments here. Until now, the history of Orthodox mission in North America has tended to focus almost exclusively on the clergy and monastics that arrived in Kodiak, Alaska in 1794. There is almost no recognition of the work that had already taken place before their arrival whereby devout but un-ordained Orthodox believers had brought Orthodoxy to the native peoples. One such person was Osip Prianishnikov, a merchant from Tobolsk in Siberia who by 1791 was fluent in the Kodiak, Aleut and Chugach Yupik languages. Combining this with his knowledge of church services, he was able to lead the native peoples in morning services, hours and evening services, even before the arrival of the missionary fathers. After their arrival, he became their translator and continued to fulfill the ministry of a reader. Prianishnikov was not the only Russian to have taught the Alaskans prayer. John Ledyard of Connecticut, the great early explorer, records in his 1778 visit to Alaska that the Russians assembled the Indians in a very silent manner, and said prayers after the manner of the Greek Church….I could not but observe with what particular satisfaction the Indians performed their devoirs to God, through the medium of their little crucifixes, and with what pleasure they went through the multitude of ceremonies attendant on that sort of worship. This was 16 years before St Herman and his fellow laborers arrived! In a similar vein, but very different cultural context, we have the aforementioned Colonel Philip Ludwell III who appears to have created an Orthodox prayer house in Williamsburg, Virginia in the 1740’s and 50’s and was able to commune from the presanctified gifts that the Holy Synod of Russia had blessed him to take from London to Virginia in 1739. During this period, Ludwell would also translate the liturgies of St John Chrysostom and St Basil as well as the Orthodox Catechism of Metropolitan Peter Moghila of Kiev. The latter was published in London in 1762. He is an example in his life of Orthodox piety and philanthropy, and evidence points to some of his descendants continuing in the Faith until very recent times. So the creation of Orthodox churches in America was much more the fruit of the devotion and labor of pious believers, both clergy and lay, than the result of some kind of hierarchical master plan formulated in Constantinople, Moscow or anywhere else! Time once again does not permit me to develop this theme, but I strongly believe there was a connection between early Orthodoxy in America and the Moravian, Methodist and Episcopal churches. The more contemporary phenomena of the Evangelical Orthodox Church actually has much deeper historical roots. The Moravians from their mid 15th century beginnings in the Czech lands until at least their arrival in America in the mid-18th century perceived themselves as an orphaned Eastern church. According to the New York Gazette of Jan 21, 1751, in petitioning the British authorities for permission to settle in America, they presented a public writing from the chief Patriarch of the Greek Church, in 1740, acknowledging them to be descended from the Eastern Church. In a similar vein, the early Methodists looked east for ecclesiastical legitimacy. One of the reasons the young John Wesley was expelled from Savannah was for celebrating the liturgy of St John Chrysostom when it was not an authorized rite of the Church of England. A later 18th century American source says that Wesley, with the encouragement of his Moravian friends, travelled to Constantinople in the 1780’s and was ordained a Bishop by the Patriarch. At the same time, the then dominant Anglican Church in America looked to the Church of Russia as its model in its achievement of its independence from Constantinople, when considering its own distinctiveness from the Church of England. Following independence from Britain, the American Episcopal Church obtained its first resident Bishop in the person of Samuel Seabury of Connecticut. He was ordained Bishop in Scotland by Bishops of the non-juror tradition whose early 18th century antecedents had actively negotiated for acceptance as an Orthodox Church. Seabury brought to America forms of liturgical office based on the Scottish Book of Common Prayer. His Communion Office, published in New London in 1786, contains an explicit epiclesis or prayer for the descent of the Holy Spirit on the gifts after the words of institution, following the Orthodox tradition. This tendency of the Episcopal Church in America towards Orthodoxy came to a head in the 1860’s with the formation of the Russo-Greek Committee that actively sought union with the Orthodox East. A few years later in Paris, France, the Orthodox believer and first naturalized US citizen, John Paradise, introduced Thomas Jefferson to Adamantios Koreas, one of the fathers of the modern Greek nation and language. After their meeting, Jefferson and Koreas corresponded for many years regarding the understanding of liberty, democracy etc. Koreas was also a graduate of the Orthodox-founded Evangelical Greek School in Smyrna where he studied alongside his contemporary, the future St Nikodemos of the Holy Mountain. Perhaps these two could be said to typify two polarities of the contemporary Greek church in America and I will leave it to the far more capable hands of Dr Yiannis to develop these points further. Another renowned early American philosopher was Benjamin Franklin who corresponded frequently with the early Russian enlightenment thinker and Orthodox churchman Mikhail Lomonosov. It was Franklin who arranged for John Paradise to gain American citizenship, and the latter in turn corresponded with Eugenios Voulgaris, the Corfu-born Bulgarian who went on to become the Archbishop of Cherson in the Russian church and is remembered with the epithet “Teacher of the Nations.” Thus, the Orthodox enlightenment in Greece and Russia is seen to interact with some of the founding fathers of the American republic. Our Orthodox past is not isolated from the mainstream of American history but interwoven with it. Within this past, we have both saints and philosophers. The time has come to begin building upon the foundation they have laid through their prayers, writings and actions. This must be done in a spirit of charity and mutual respect whilst understanding our God-given calling to pass on the faith which was once for all delivered to the saints (Jude 1:3). 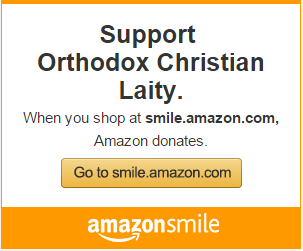 Nicholas Chapman, Director of Holy Trinity Publications in Jordanville NY is a regular OrthodoxHistory.org contributer who has single-handedly rewritten our understanding of early Orthodoxy in America,and hosts a podcast on Ancient Faith Radio called Speaking of Books. Next Article Real Break 2013 – Registration opens today!